Here you will find and explanation of a Search Engine Optimization "SEO" breakdown. There are three main sections to understanding where your placement is when it comes to SEO. Some companies, in fact, pay-per-click, which means every time you click on their link or page, they pay for that. Sometimes these ads surpass $9 a click. The middle section is for the Google Local. It lists all the information for business such as the address and phone number. 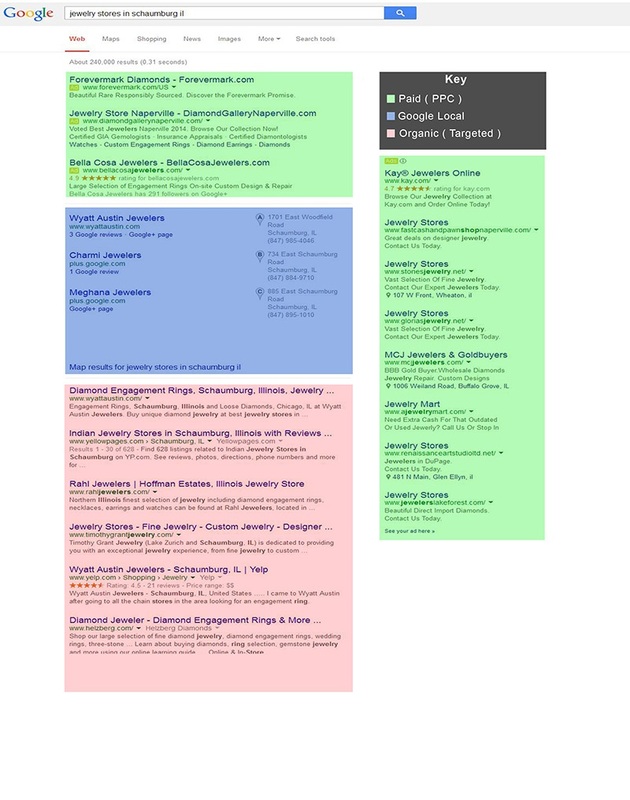 After this comes our targeted section, the organic search. You must first choose a topic for your search, or in other words, you key words. Then you will see these links appear that are relevant to your search criteria. When searchers click on these organic links, it does not cost the owner or operator of the site anything for this traffic. This is especially important when budgeting for marketing. How do you get in the organic search results? Make sure you have the right descriptions with key words that are being searched, Meta tags, proper search optimization, inbound links and getting acquainted with Google Analytics. Any of the previous steps can help you achieve better SEO for your company. Not sure how SEO works or need further explanation? Let one of our sales reps know if you need further explanation or help getting started.